Hey people! What’s up with you today? These hot summers almost killed me but the hope of writing for you kept me alive! Don’t be surprised, this is the effect of the title ‘Drama Queen’ that I got in my college farewell. Coming back to the topic so far we are through with 37 reasons for being a footloose and now I will be sharing the next five with you. #43 *Important Tip* whenever you are traveling try to get a window seat, not only to enjoy beautiful view but also to get a good sound sleep, leaning against the wall. #44 Guess what is the most important thing that you should always carry with you during your journey. No it is not your favourite lip gloss. Battery power bank or battery back up as we call it, is the one thing that you should always have as you don’t want to be lost in foreign land without your mobile phone. #45 The shopaholic in you will always force you to buy stuff when you are out on a vacation, so to avoid being charged by your bank abroad you can purchase a currency card. This will not only give you free cash withdrawals but will make it easier for you to exchange currency. #46 While traveling travel guidebook is a must but it adds too much of weight. So what should we do? Instead of carrying the entire copy of the guidebook, photocopy the required pages. Take them along with you and discard them after use. P.S this will save space and weight. #47 Rush! Rush! Rush! Get down the flight! This is the situation when we land at a foreign land, but this is what you should always do. Remember it is very important to get off the plane first because a five-minute delay in getting off the plane can add 40 minutes to going through customs. Before I sign off a piece of information for all the travellers : At Room N House we are starting with a new trend. 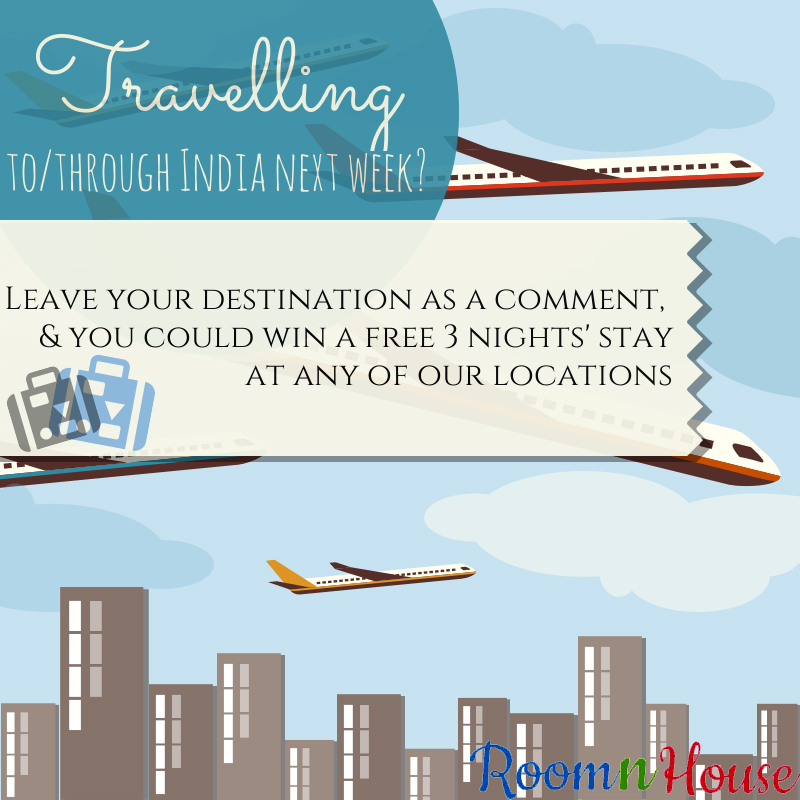 People who will be traveling to/through India in the coming week can post their destination as a comment below the post on Facebook/Twitter, and we will be selecting a winner randomly and he/she will be awarded a free 3 nights’ stay at any of their locations. Exciting isn’t it? So get posting!